Kerry describes growing up in the Bay Area in Berkeley and Los Altos, and thought he would go to Cal and become an anthropologist. His family was one of the few that had a wine cellar. Then his father brought him a book from the library, Technology of Winemaking. It had no pictures, it was all science. He fell in love with wine and never looked back. 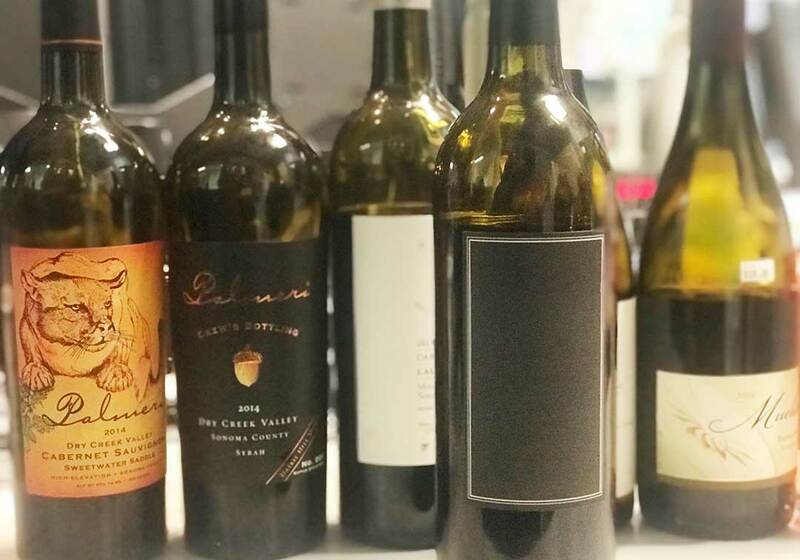 He studied at UC Davis and now he makes wine around the world. 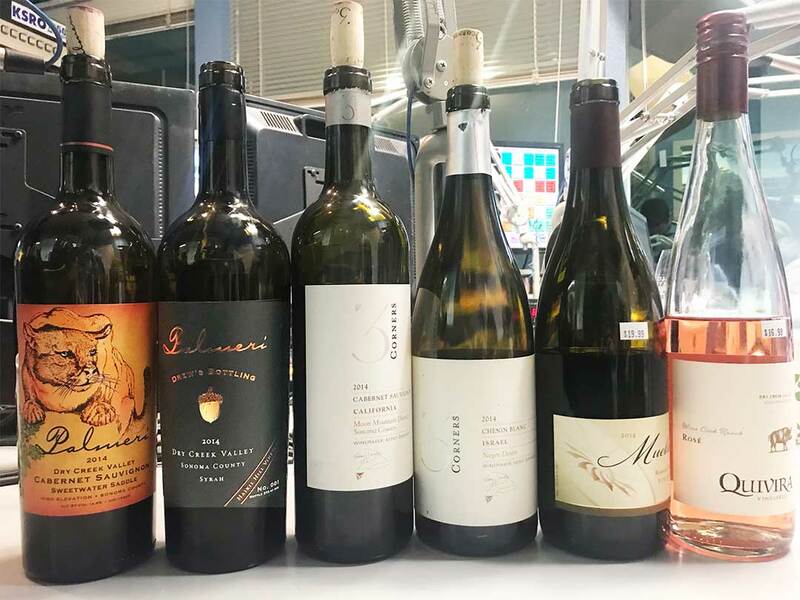 He describes where his clients are, in California and also in India, Israel and in Costa Rica, where he is starting the first vineyards at 7500 feet above sea level. 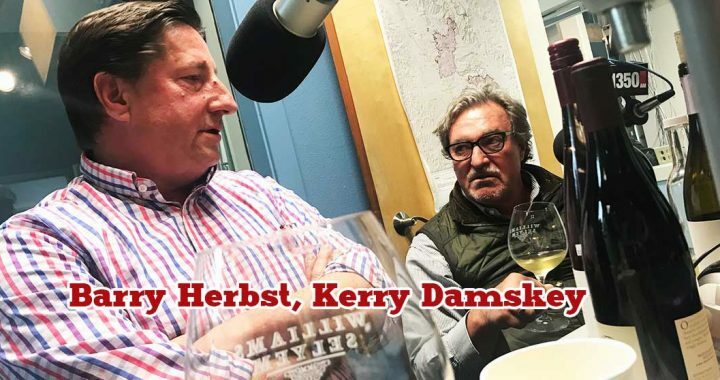 Dan Berger met Kerry Damskey in the early 1980s when he was the winemaker at San Pasquale in San Diego County. Kerry was making Gamay, very well, which was unusual for the time. Then together, they made some Pinot Noir with fruit that Kerry brought down from the Central Coast. They made three vintages and Dan tells the story of how only one of them, infamously, turned to vinegar. They actually sold it as vinegar. Kerry Damskey travels to India often and spends significant time there with his clients. Kerry says there are a million cases made in India and he is in the forefront of subtropical grape growing. They grow at 2300 feet outside of Mumbai. They grew table grapes there for a long time. He has 16 winemakers there. He spends May through July there, and February. All of the Zinfandel in India comes from two bags of cuttings that he and his friend brought in the 70s. They grow wine Chenin Blanc, Sauvignon Blanc, a Riesling, a Cabernet-Syrah blend, and Zinfandel. Their first vintage was 1999. India has a huge population and even if a fraction of them start consuming wine it will be huge. Almost all the wine stays in India. UK, Germany, Japan. They are considering becoming a “drinks” company with other lines of beverages, and not just a wine company. They taste a Negev Desert Chenin Blanc, from Israel, one of Kerry’s clients. Called Three Corners, for the three wild corners of the world where the vineyards are located. There is also, from Cayman vineyard, Moon Mountain. And third, a Palmieri, it will be his first white wine for Palmieri, his new family brand for mountain elevation grapes. The name Palmeri comes from a species of oak that grows at high elevation. They taste a barrel sample of their 2017 Chardonnay. It’s from Bootlegger’s Vineyard. It’s all native yeast, 100% ML, great acidity. Dan says that Chenin Blanc is making a comeback. He says that this one they are drinking is “a little tired” and should have been consumed about a year ago. But it’s still nice. Kerry says there are probably 200 wineries in Israel. It’s a hot growing region, but all limestone. So some new winemakers are using old classic traditions but adding new techniques. They are discussing whether to make the wine kosher. The “Call It What You Want” label. After the break, Kerry describes how he wanted to live in Sonoma County and loves living there now. His son is taking the reins of Palmeri, having his MBA in the wine business from Sonoma State University. 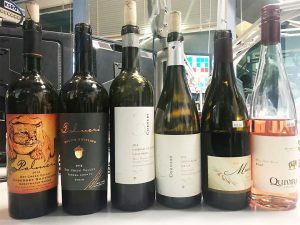 They look at some bottles that Barry had brought from Bottle Barn, including a 2017 Quivira Dry Rosé that Dan says will be even better when it’s a little cooler. It’s all purpose, for a Rose, it could be served with meat or fish. And it has a screw cap. Kerry mentions that they are 100% screw cap in India, even for their top end wines. Next they taste a 2014 Russian River Valley Pinot Noir from Bob Mueller, the winemaker (not the Washington federal prosecutor). Bottle Barn just bought a palette of this wine. Dan describes it as juicy, with a rich fruit component. It’s young, needs a year or two in the bottle, but an hour in the decanter will help too. Pinot Noir is one of his favorites, says Kerry. He says making Pinot Noir is all about terroir. 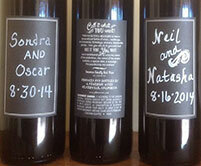 Next they taste a nice wine with a novelty label: Call It What You Want, from J. Keverson Wines. The front of the bottle is a picture of a blank blackboard and anyone can write anything in white chalk on it, to name the wine. It allows for personalization and customization. Steve thinks it’s a brilliant marketing idea and Barry Herbst says he has sold more than 200 cases, that it’s a commercial hit. It’s mostly Zin but blended with a lot of other grapes. It’s 15.5% alcohol. Dan says it has a real Zin stamp on it. It’s selling for only $5.99, since the winemaker is leaving the business to back into construction rebuilding homes in Sonoma County. Next they taste a Syrah, 2014, under the Palmeri label, one of his son’s first bottlings. Dan says the tannins are resolved, which means not as astringent but rich in colors and fruit flavors. It’s pretty concentrated and would go well with a charred steak. There is no new barrel on this, so you get a lot of the fruit. The last wine tasted is a 2014 Cabernet Sauvignon, from the Three Corners brand, from a Cayman Vineyard in California, his client. It is all organically farmed. The fire burned right up to the vineyard but not over it. Dan says it needs only 20 years in the cellar.